The design of the off-road Factory Race Series air shock allows for infinite adjustability of the spring rate by varying the nitrogen charge pressure. FOX's first air shock was invented by Bob Fox back in 1974 and has been highly refined in the 30-plus years we’ve been producing them. 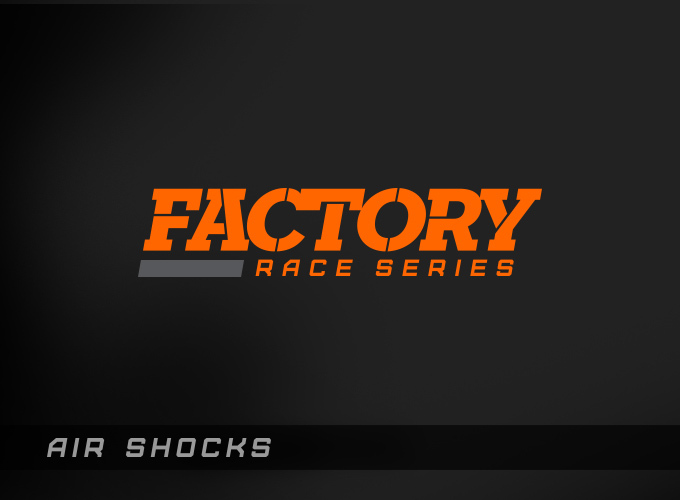 The off-road Factory Race Series air shock uses the identical race-proven performance damping technology as our other Factory Race Series off-road shocks, so servicing and valving adjustments are the same. Incredibly strong yet lightweight hollow shock shafts further reduce weight on these shocks that are ideal for competition rock crawlers.